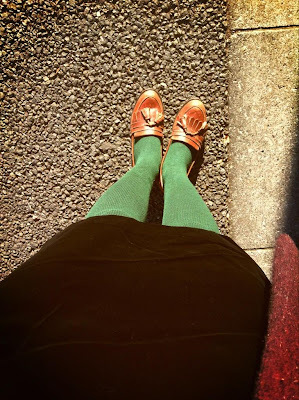 one sunny day,normally i don't wear colored tights, but that day i felt really thrilled dunno why though.so i chose these green tights. then i just realized "its not bad". i had been thinking that they didn't suit me at all.sometimes its better to throw your fixed idea away. 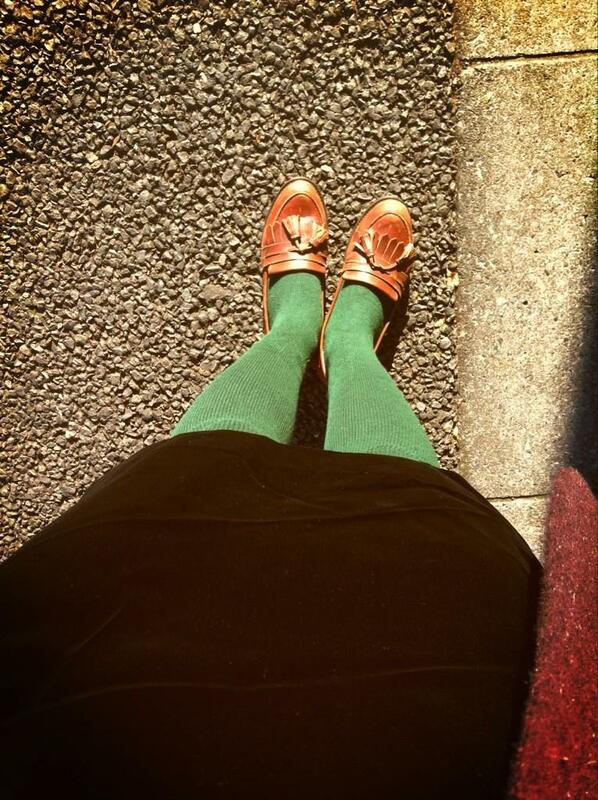 following day of first photo,that day was also sunny.bought leather skirt at vintage market in London.it was just £20 or something.dont remember well though. and boots I'm wearing i got them maybe 5years ago.I have been wearing for 5 years! got from vintage shop in tokyo,the owner said they were found in france. been fixed again and again. i love boots! it will never change! !